I have an Interactive White Board now what? My computer lab finally came up on the list to get an interactive whiteboard -- I know, I know, the computer lab should be the first classroom to get one and not the last one, but that's how it ended up. I have wanted one for years, but to be honest, I knew that my classroom teachers needed them more than myself so I kept quiet and waited until it was my turn. The district installers haven't come by yet so my Smartboard is on a portable cart, but it will do for now. So as I stood in the middle of my room looking at my new interactive white board, I wondered; "Now what?" 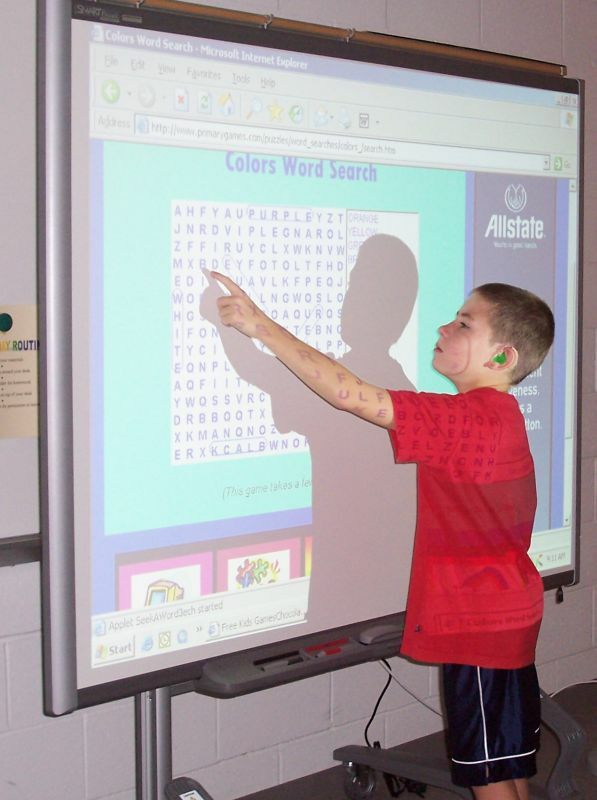 What types of interactive whiteboards are there and how do they work? What are the benefits of using an interactive whiteboard, both for my students AND for me? How do I get started creating engaging, authentic IWB activities to use in my own classroom? Where can I find communities of educators who are using the same kind of interactive whiteboard that I use? Whether you have a SMART Board™, Promethean ActivBoard®, Mimio®, Easiteach®, or some other type of device or software application that allows you to build interactivity into a presentation, you should find something of interest in this workshop. Be sure to download the reference document that accompanies this tutorial series for a list of additional resources, including links to user communities, example activities and lessons, and continuing professional development opportunities related to interactive whiteboard use. Perfect, and after about 20 minutes of watching the online tutorials and lessons, I had two pages of notes and ideas to apply in my classroom today.